The best way to sense what happened during the Spanish Civil War is to read Ernest Hemingway’s novel, For whom the bell tolls. In the book, an American ideologist and expert in explosives finds his way through the International Brigade and the anti-fascist guerillas against the all-growing fascist wave in the Europe of Mussolini and Hitler and their Spanish companion General Franco. On May 10, 1936, Manuel Azaña was elected President of the Republic after the removal of Alcalá-Zamora and in his memoirs, when it comes to the last two months he survived as President before the Civil War, he talks about the conflicts and the lack of unity between the leaders that parted the republican government. The very same Manuel Azaña as War Minister in early 30s and after the fall of the Spanish monarchy becomes the reason for the apolitical officer Francisco Franco to act. 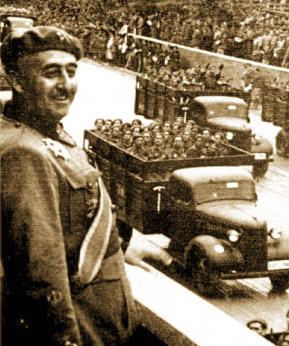 The turning point for Franco was Azaña’s decision to close the military academy. This decision led Franco into a long farewell speech that attacked the political system and the parties. After that followed a period where Franco was kept away and quiet and Spain was led to general elections with a centre-right government elected. 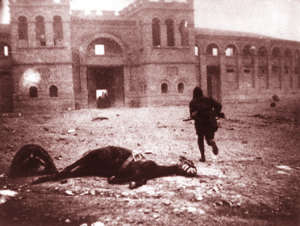 1934 the Asturias uprising and the adagonism between left and right started the events that would lead to the Civil War. Even though a local problem, it managed to spread all over the country and united different movements, most of all unions with different causes under the same target, the conservative government. The strongest union that joined was the miners union and Franco, who had become by then ancestor to the war minister, was put in command to handle the situation. After two weeks of heavy fighting, 2,000 dead and a promotion for General Franco, the rebellion was over, but Spain was turning to new era. As a result of the rebellion, the conservative government falls leading to another election, but this time there are only two sides, two collisions. The Popular Front was including left parties, centre-left, the communists and the republicans and from the other side Frente Nacional, including all the right and conservative parties, plus the centre radicals and the royal Carlists. 1936 the Popular Front wins the elections with very small difference and Franco is sent away to the Canary Islands. The dislike of the right parties keeps building and this time the army seems to take place preparing a coup that Franco is not informed of, but later joins. One day before the programmed day for the coup on 17th of July 1936, the African Army rebels demanding the return of the conservatives and Franco after publishing a political manifesto travels to Africa to join his army. 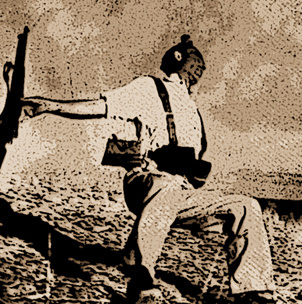 A week after the rebellion, the nationalists forces controlled the one third of Spain but the republicans had managed to stop them and that was the beginning of the Spanish Civil War. The differences between the two sides were huge; the left side was forcing the redistribution of the land that belonged to a rich minority, the containment of the powerful Catholic Church and the independentancy of some states. Of course for the right side only the opposition to those was enough. The worst part came from the ideological allies of General Franco and his so powerful ambition that he was ready to demolish and kill half of his country with his only excuse that they were ‘enemies’ of his personal governing plans. Spain after the Civil War gone though a very long time under Franco’s iron fist and even though old passions have dried it will take long time for the Spaniards to forget. The only hope it will be to remember how valuable democracy is!